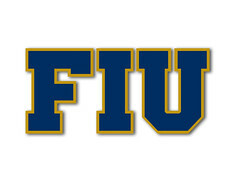 FIUGoldenPanthers.com • View topic - New 2018 Commit: Shaun Peterson Jr.
New 2018 Commit: Shaun Peterson Jr.
FIU picked up another commitment today from class of 2018 RB, Shaun Peterson Jr., out of Nova. He is supposedly shutting down his recruitment and signing on Dec. 20! Peterson was reportedly the leading rusher in all of Dade and Broward counties with 1234 yards on 164 carries. That's quite an accomplishment. I'll add Shaun is a consensus 3-star player. He was also being recruited to play OLB, but wants to play RB. One of our possible "silent commits", Shaun is a 6'3/210 RB/LB from Nova HS in Davie. As stated by 'Building, he was the Dade and Broward County leading RB in yards and TD's. However, he is still listed as a LB for every recruiting website. A 247Sports 3-Stars player formerly committed to USF, he has had reportedly offers from Mississippi State, USF, Tulane, FAU, before choosing FIU, with interest from Nebraska (he was reportedly waiting to see if they offered and named them his "favorite" no offer notwithstanding), Michigan, Oregon, Virginia Tech, and UCF. He finally pulled the trigger haha, glad to have him. He looks to be a play-maker. Also great to know he is signing with us Next week, also wondering how many recruits we'll sign on the 20th . That’s a very important issue. Signing “early” is a big deal for programs like ours so that “big” programs don’t come poaching at the end of the recruiting cycle to round up their class. This is a good sign indeed. Add an offer from Georgia Tech. But Shaun said thanks but no thanks to them. He’s signing with FIU on Wednesday and that’s it.